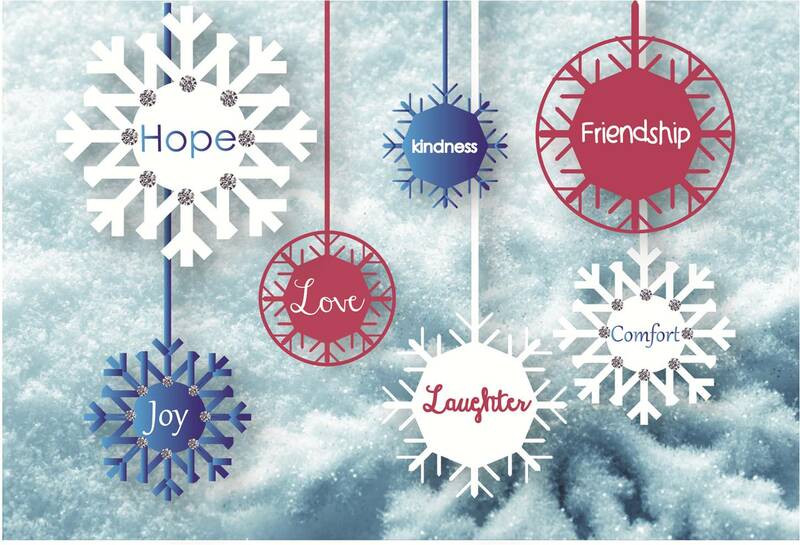 Wishing you a holiday filled with hope, kindness, friendship, love, joy, comfort and laughter! https://professional-organizer.com/WordPress/wp-content/uploads/2016/07/logo.png 0 0 Ellen https://professional-organizer.com/WordPress/wp-content/uploads/2016/07/logo.png Ellen2013-12-25 08:58:272013-12-26 09:00:17Happy Holidays! Thanks to Janice Simon, owner of the Clutter Princess, for sharing her holiday tips as a singleton. 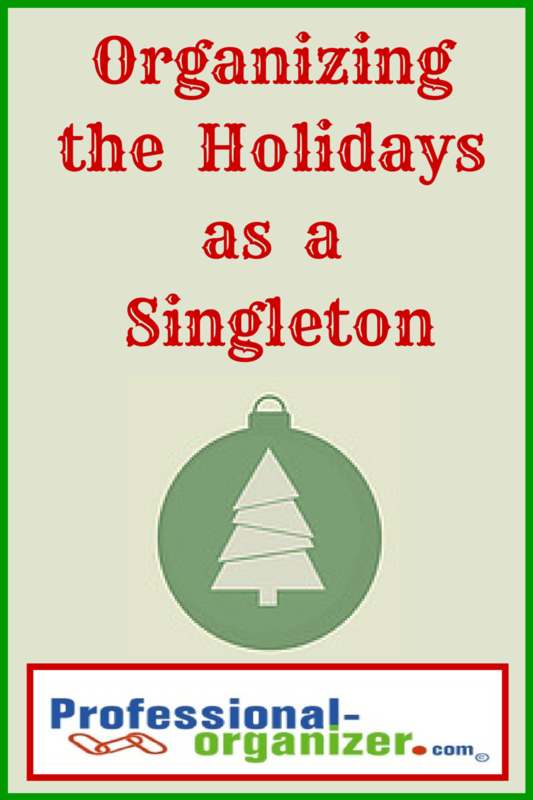 Singletons can have their own challenges when it comes to managing the holiday season. Organizing the holidays when you are single takes a on new twist. When you’re single, you don’t have someone to delegate to so you have to do things yourself or hire out. 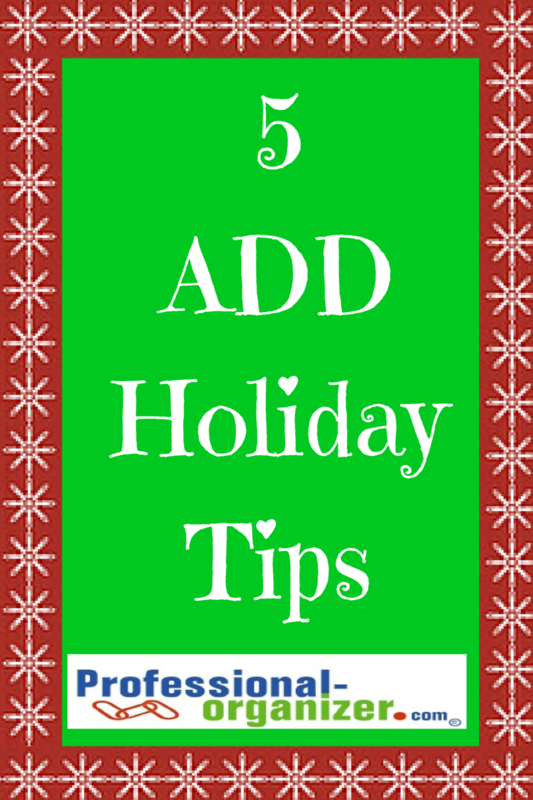 Here are a few tips to organize your holiday – whether your single or not. Use your resources. I have nieces, nephews and godchildren who live around the country, and I use the Post Office and other delivery companies frequently during the holidays. When it comes to presents, I order items online as much as I can and have them sent directly to their home. I send an email or text to the parents and let them know to expect a box. If you hate shopping but have a friend who loves it, ask them for help and do a trade. Maybe they can shop for you, and you can do something for them. When I was a reporter in Galveston, I would go Christmas shopping for the guys who needed help getting presents for their wives, and they would buy me lunch. Stockpile a few bottles of wine or boxes of chocolates to use as host and hostess gifts for any soirees you attend. Hire out. The two teen-age daughters of a friend have been my holiday “staff” for several years. They have stuffed, labeled, and stamped Christmas cards and wrapped presents for me. If you’re a perfectionist, this may be difficult for you, but I operate under Donna Smallin’s “Done is perfect” mantra. It doesn’t matter if the labels and stamps are crooked or if the presents aren’t perfectly wrapped. A majority of my presents are for my nieces and nephews, and their priorities aren’t examining the wrapping job. I’m just happy that the projects are done. Don’t want to cook and don’t have a chef at your beck and call? No problem. Order a dish or holiday meals from restaurants. For holiday potluck gatherings, offer to bring pre-made dishes or utility items such as plasticware or plates. Simplify your processes. In my apartment, holiday decorations were stashed on the top shelves of closets and were a pain to get into. When I purchased my house several years ago, I was excited to have a “holiday closet,” the place where I can store all of my holiday decorations and my artificial Christmas tree. A couple of years ago, I purchased a tree with the lights embedded in the branches so I wouldn’t have to wrestle lights onto the tree. Because the branches fold up, I don’t have to dismantle the tree and can keep it upright. I just cover the tree with a sheet in my holiday closet. Take your time. When I put up Christmas decorations and decorate my tree, I take my time and break my decorating into smaller, more manageable tasks. For example, I may focus on decorating the tree one afternoon, and use another afternoon or evening to put up other decorations. There’s no law that says everything has to be done in one day. To prepare for holiday cooking, I may gather up recipes and make a grocery list one night or chop vegetables to cook the next day. Gather your friends. If you don’t want to decorate or bake by yourself, create your own traditions and invite some friends over for a decorating or baking party. It’s more fun to have your friends around while you all decorate, bake and chat. It’s a great way to get together before everyone goes their own way for the holidays. Lots of us have heard of the KISS principle. You may know it as “keep it simple sweetie” but I like to apply this mantra to the holidays. 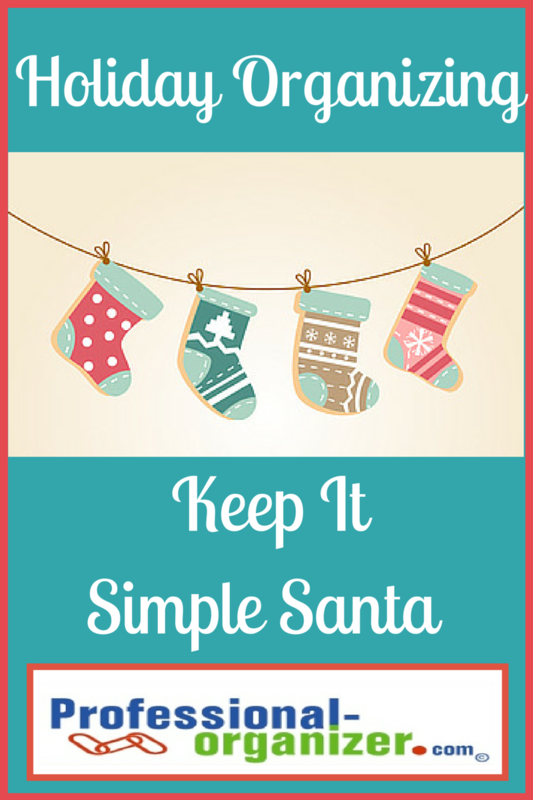 Keep it simple Santa keeps us from overdoing, over committing and over thinking the holidays. Holiday organizing is best when it’s simple. Keep it simple with holiday gifts. Finding the perfect gift, finding gifts for a large number of family, and finding a way to finance gift giving can be stressful. We are saturated with the idea that bigger, brighter and more bling are the way to go with holiday gifts. Keep your gifts simple and clutter free. Keep it simple with holiday decorating. Adding to your collection of Santas each year? Think about donating some less loved Santas to local charities to sell or give. Keep it simple with commitments. It’s easy to over commit to holiday gatherings. 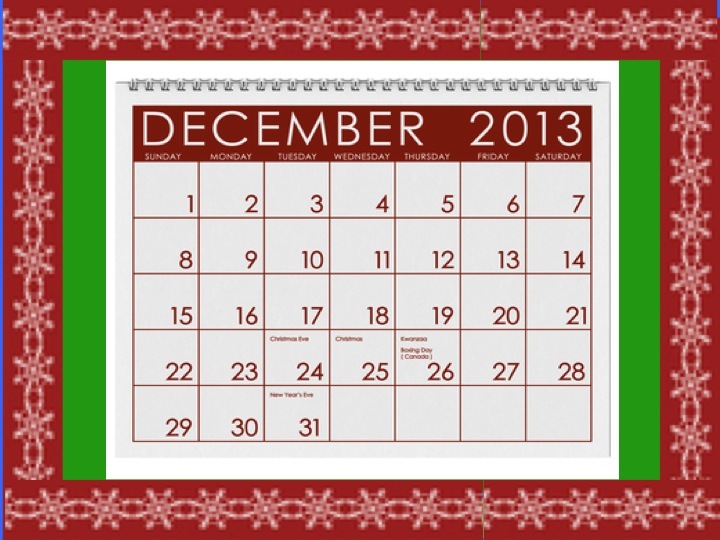 Write in your calendar what is most important to you and your family during the holidays. With these dates guarded, you are ready to enjoy the season in a meaningful way. 1. In microwave, melt together the marshmallows and butter. Add in food coloring when melted. Mix in the cornflakes cereal. 2. 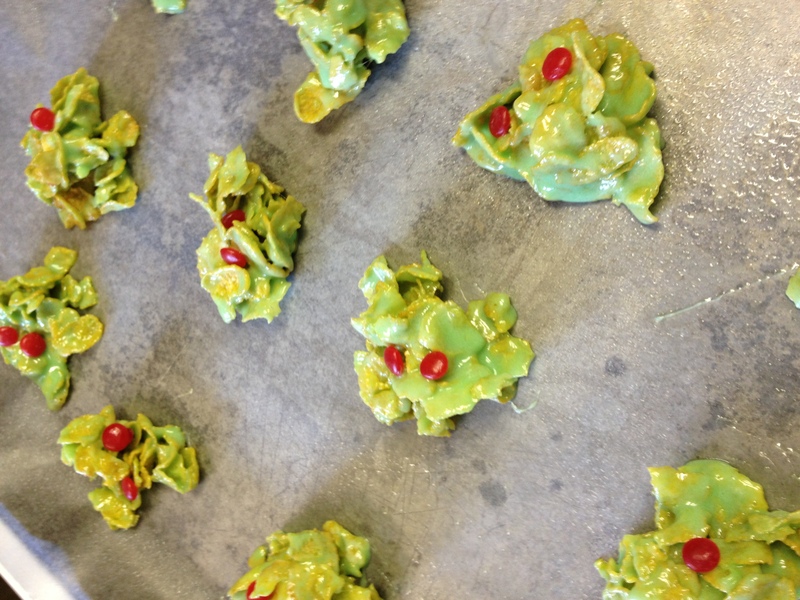 Drop by spoonfuls on wax paper, and decorate with red hots. Set aside, and allow to cool in the refrigerator. Holiday organizing at it’s best! Throughout the month of December, I am honored and grateful to share posts by ADHD experts. In this series of Meet the ADHD Expert, our experts are sharing their thoughts about ADHD. Let me introduce guest blogger Laura Rolands. Laura Rolands of MyAttentionCoach.com is an ADHD Coach who helps adults with ADHD/ADD pay attention, improve their time management skills and increase productivity. Her clients include students, adult and organizations looking for help with time management, productivity, organization, procrastination and other challenges related to ADD or ADHD. Register for Laura’s free time management guide on her website at www.MyAttentionCoach.com and listen to her radio show archives at www.PracticalADHDStrategies.com. What was your first experience with ADHD? I first learned about ADHD when talking with teachers at my child’s schools about attention challenges that we didn’t know how to resolve at the time. It was a frustrating experience in the beginning, but we worked together to develop strategies that have helped my child succeed. In reality, I saw ADHD, however for years in my work as a Human Resources professional. I just didn’t know how to recognize it at the time. What was is one thing you want everyone to know about ADHD? While it can happen, ADHD challenges do not typically go away with age. New challenges can present themselves later in life after the structure provided by parents is no longer applicable. Being aware of this can help the adults with ADHD to identify and develop strategies to assist them personally and professionally. Taking proactive action can also help build self-confidence. What is your best tip for ADHD? Identify situations where you make impulsive decisions to accept new projects or tasks..
Rehearse saying “no” before entering the situation. For example, saying, “No thanks, I just can’t add anything new to my plate right now.” Avoid long explanations; they leave too much open to debate with the requestor. Practice your statement five times before entering the situation. Evaluate your progress and praise yourself to celebrate success. It takes daily practice to build this skill. Start practicing today to “no” into a positive! Mornings are relatively long at my house with the first alarm sounding at 5:10am and the last person leaving the house around 7:45am. There are 4 of us who wake up, get ready and head to work and school at various times. Mornings are rarely hectic though and I am thankful that my kids get out of bed without too much prodding. Each year right when the holidays begin, families meet their personal scout Elf who joins their family for the holiday season to help Santa with his naughty and nice list. Each day their Elf moves around their home watching them from different spots to check on the kids. It is a tradition to locate him. Throughout the holiday season, I’ve seen dozens of pinterest pages and blogs devoted to Elf on the Shelf ®. Adding in a little practicality and organization adds to the fun! Set a time each day or night to follow though. Busy days with wrapping, shopping and cooking can leave you drained. Set a time each night, such as right after tuck in, or set an alarm on your phone, to remind you to get set up. Be sure everyone is in. Spouses, partners, grandparents, extended family and friends can all be helpers for you. Just in case time gets away from you and things did not go as planned, text a family member or friend to help out. Elf antics can be simple or elaborate. As one mom says, her family purposely kept things simple just to keep the tradition easy to accomplish each evening. A simple addition can be a short note too. Whatever you choose, remember to follow through. 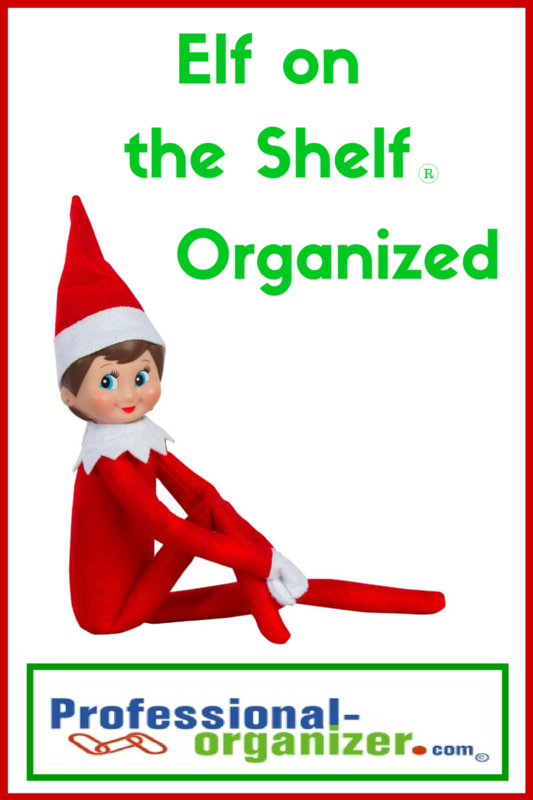 Store your elf in a remote location and add a reminder to your digital calendar for next year where he is stored. 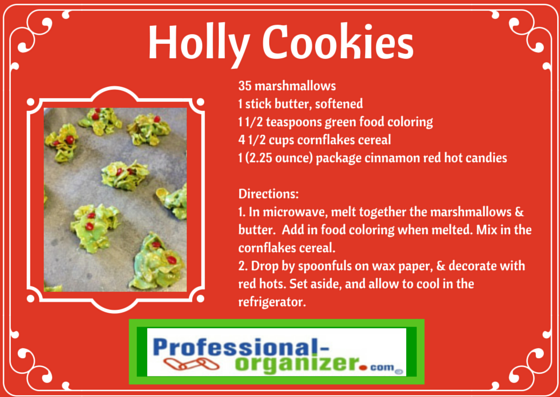 Join me on pinterest to enjoy more holiday ideas at Happy Holidays! Throughout the month of December, I am honored and grateful to share posts by ADHD experts. In this series of Meet the ADHD Expert, our experts are sharing their thoughts about ADHD. Let me introduce guest blogger Andrea Sharb. 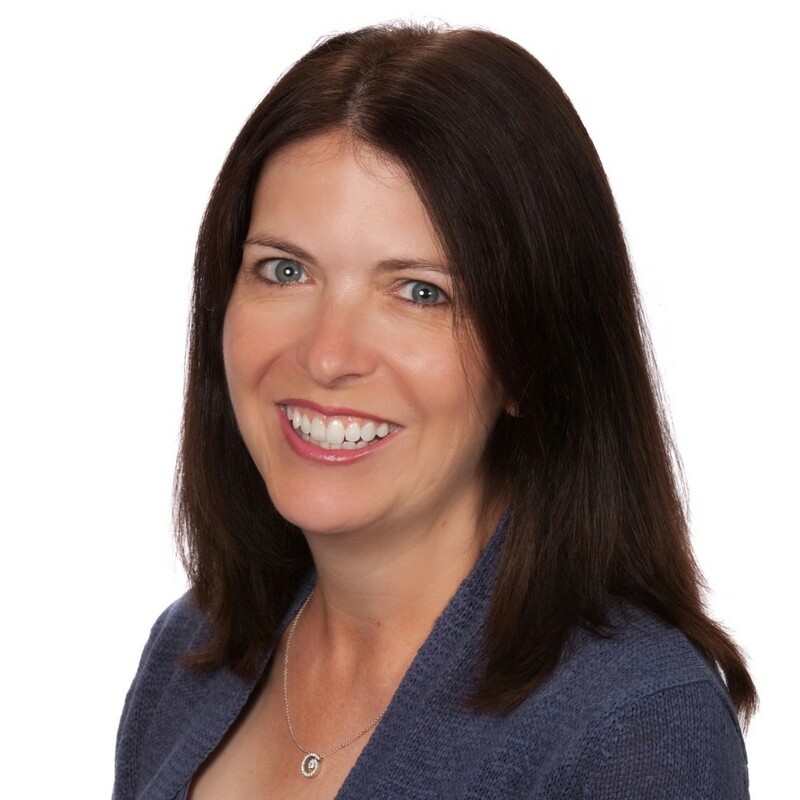 Andrea Sharb, ACC®, CPO-CD®, COC®, and CPO® is owner of S.O.S.~Sharb Organizing Solutions, LLC and a trainer for the Coach Approach for Organizers. 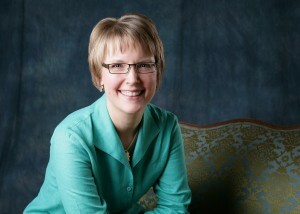 Since 2006, Andrea has specialized in Helping Others Overcome Overwhelm™. Her most rewarding work is with chronically disorganized clients, especially Adults with ADHD or those who wonder if they have ADHD. She also works with individuals who want to gain better control over their physical space, time or life. A certified coach, her approach, is grounded in helping clients raise their awareness around how their challenges are impacting them. With awareness raised she assists them in creating strategies for a more organized, productive and fulfilling life. She then supports her clients in the implementation of those strategies. Her goal is to not only teach her clients techniques for clearing the clutter from their lives, but to empower them to make changes leading to a more organized lifestyle. In addition to working with organizing clients, she provides mentor-coaching services to professional organizers. I first became aware of ADHD in my work as a professional organizer. What I noticed most was how I identified personally with many of the struggles of my ADHD clients. I had always been good at organizing physical spaces. But, was challenged when it came to managing my time and dealing with overwhelm that resulted from taking on too many shiny, new activities. As I learned more about ADHD, in order to better serve my ADHD clients, I began to suspect I was dealing with ADHD myself. I was formally diagnosed with combined type ADHD a few years ago. What I most want people to know is that ADHD is not a sentence to a lesser life. Change is possible, but it takes building awareness about your ADHD and your strengths, designing actions and developing accountability around those actions, and creating supportive systems. An ADHD coach can serve as a guide in all of these areas. When you learn something that works for you, it’s important to find a way to remind yourself of it, so you can continue to use it to support you. Unfortunately ADHD often results in us forgetting what supports us most. Document what works best for you on a list of best practices, and review it regularly. Great question Ellen! I’d love to be able to tell you my mornings are well ordered, but they tend to be a little inconsistent depending upon whether I have an early morning appointment. If I have an early morning appointment, the external accountability makes all the difference in motivating me through what needs to be accomplished before I leave. If my first appointment isn’t until later in the morning, things get a little more challenging. Early morning appointment or not, there are some constants: Before I even get out of bed I review my best practices on my iPad and check my calendar for the day. If my first appointment is a little later in the morning I also clear the email that filled my inbox over night. The next step is dealing with what I call my linked activities: putting in contacts, brushing teeth and getting dressed for exercise. No matter what the day, these tasks almost always seem tough to tackle. Putting in the contacts is easiest, because being able to see has the biggest payoff. From there it is a matter of talking myself into doing just one more thing. “Ok, contacts are in, all you need to do now is brush your teeth.” “Alright, all you need to do now is get dressed and put your hair up.” There is a lot of self-talk going on in my house in the morning. A later morning appointment can result in procrastination around exercise, so I’ll usually end up working backwards from the time I have to leave and calculating the latest time that I can get on the treadmill. Setting a timer for this time and placing it in another room makes all the difference when it comes to transitioning me to the treadmill. After exercise, breakfast and a shower, it’s time to start the day. Just to say thank you for this opportunity to share with your readers and to pass along the following: The way your brain works is not your choice. How you respond to the way your brain works is. What choices will you make with respect to your ADHD and overcoming your own overwhelm? Shiny! Glittery! Oooo ahh! The holidays are filled with fun and frenzy. The holidays can be overwhelming! 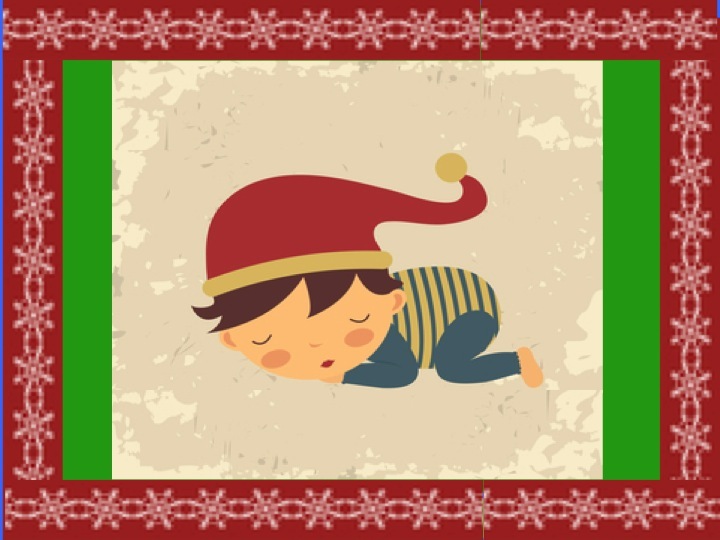 Follow these five ADHD holiday tips to help you have a very merry holiday! 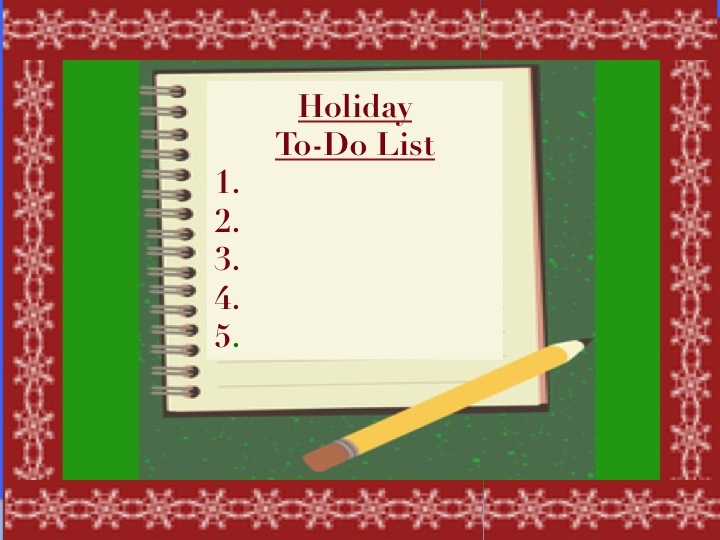 Make a list of your family’s priorities for the holiday season. Add these to your family calendar to guard that time together. Keep your holiday thoughts together in one spot. A holiday binder, spiral or online tool like Evernote keeps all your ideas, wishes, and details together. No more searching for scraps of paper. 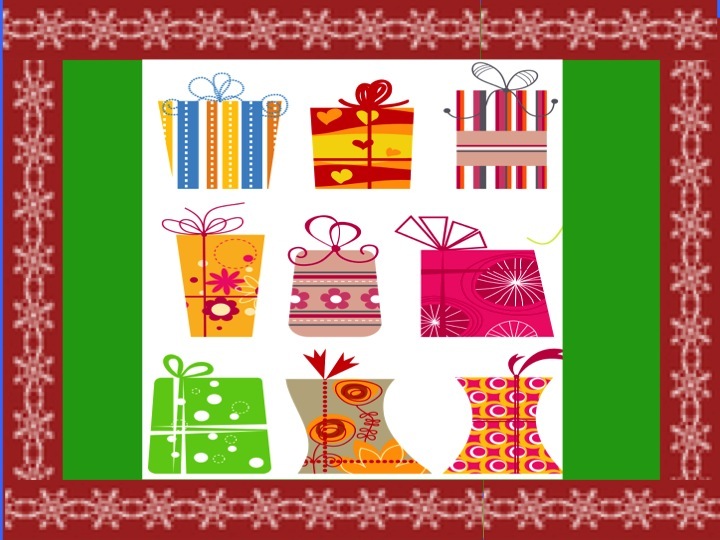 Create a list of gift recipients and your purchases. You can use a smart phone app like Notes or keep your list in your holiday notebook. Think about clutter free gifts that include experiences. 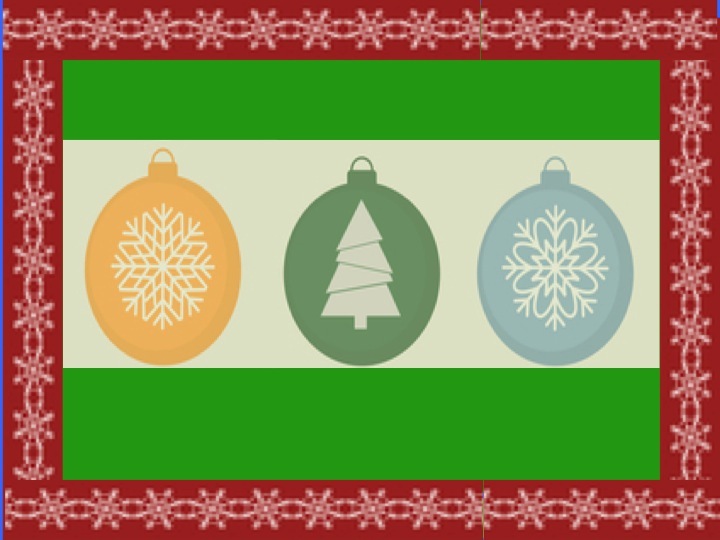 Gather your team (of family, friends or “teens you rent from church’) to help you decorate. Set up a time line on your calendar for when you want to start and when you want to finish. Keep up your holiday spirits with lots of rest and nourishment. Carrots make reindeer fly and your veggies will help you too!